Mexico City is one of the largest and most populated cities in the world, but its varied neighborhoods often act as little villages, giving CDMX many charming places to take in the sights and chill away from the traffic and the crowds. From areas full of Aztec history such as Centro Histórico and Xochimilco to swanky barrios like Roma and Condesa to small town-esque Coyoacán, visitors to Mexico City can experience the diversity of the city and its people by checking out its coolest neighborhoods. Centro Histórico — Centro, as it’s called by the locals, is the heart of CDMX. 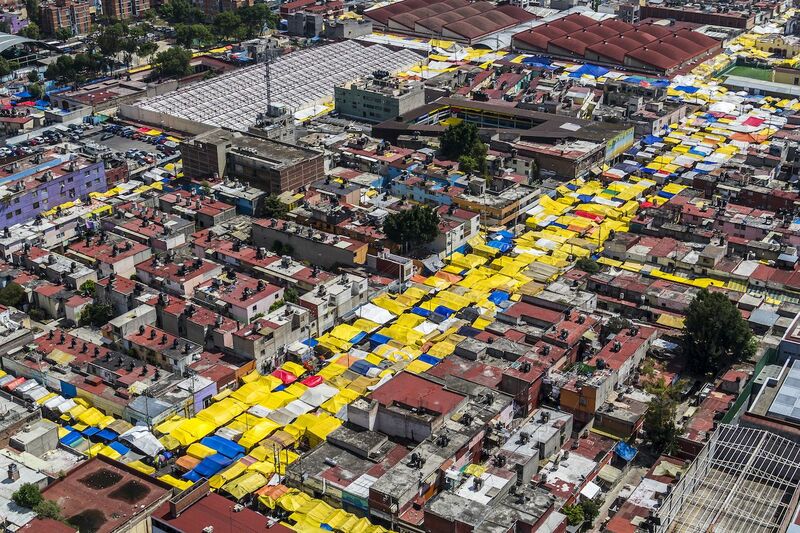 It is the oldest neighborhood in the city and was the site of the ancient city of Tenochtitlán, the capital of the Aztec empire before it was razed by Spanish conquistadors in the 16th century. The neighborhood is therefore loaded with historical buildings (from colonial architecture to pre-Columbian ruins to pyramids), and amazing museums. Grab a free map at one of the multiple tourist kiosks and roam the streets and Zócalo, the main square, at your leisure. Madero and Regina are the two main walkable streets in Centro, but most of the neighborhood and the surrounding areas are closed to traffic on Sunday mornings. If you’re looking for a place with an unbeatable view of Centro Histórico, head to the top of the Latin American Tower or to the bell towers of the Metropolitan Cathedral. Coyoacán — This neighborhood has an old Mexican town vibe to it with cobblestone streets, vividly-colored buildings, and traditional markets. This barrio has some of the best street food around Mexico City, but we recommend that you take the time to visit the food market at Calle Higuera and sit down for some good pozole (a traditional Mexican stew). 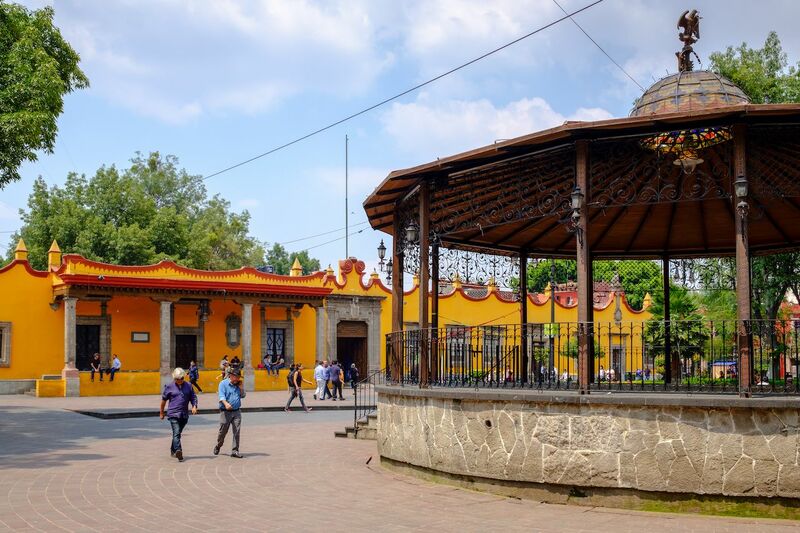 Coyoacán is very quiet, so it’s a great place to stroll — start at Plaza de la Conchita and head all the way to Plaza Santa Catarina to get a sense of the neighborhood and check out its beautiful colonial architecture. 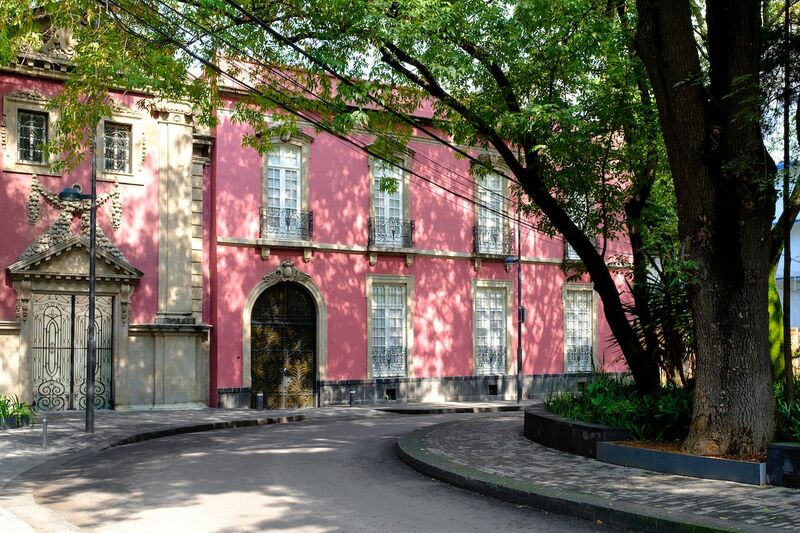 The top sights in Coyoacán are the Frida Kahlo Museum and the parks surrounding the Church of San Juan Bautista. Weekends in Coyoacán are super busy, but this is also the time when you’ll find more buskers and street-food vendors. Don’t be afraid to wander into the multiple alleys around, this is a very safe area of CDMX. Roma/Condesa — These two neighborhoods are adjacent to each other and are the hippest spots in the city. These are the areas you want to hit for fancy boutiques, art galleries, restaurants, and the best nightlife in the city. 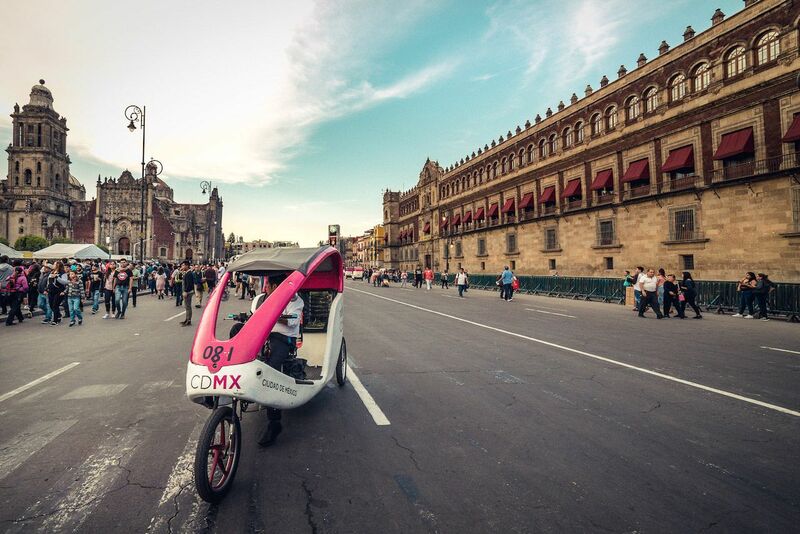 They’re also the most bike-friendly neighborhoods in CDMX, so you can easily go from Parque México in Condesa to Plaza Río de Janeiro in Roma in a matter of minutes (you can rent a bike from Ecobici or Mobike, both found in Roma and Condesa). Additionally, there are a lot of Airbnbs and boutique hotels in this area for visitors to stay at. 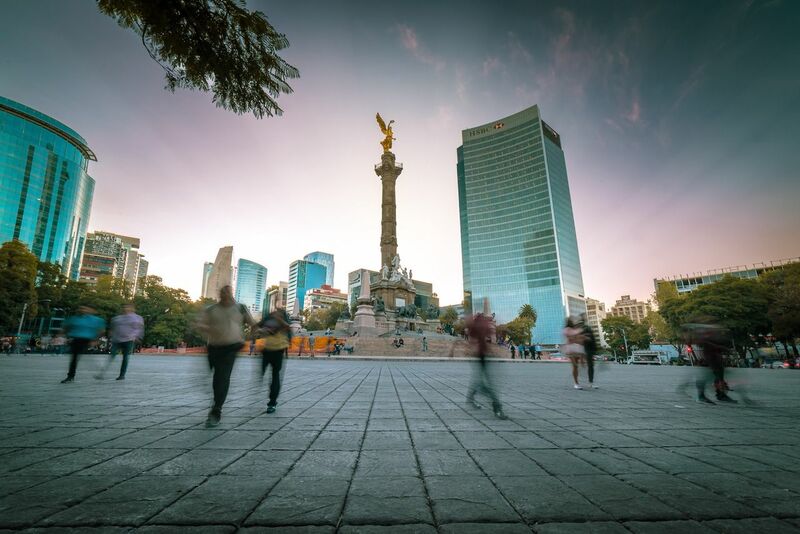 Cuauhtémoc/Juárez — Paseo de la Reforma, the most iconic avenue in Mexico City, passes right through these two neighborhoods, and on Sundays, Reforma is closed to traffic for bikers, joggers, and skaters to able to wander around freely. 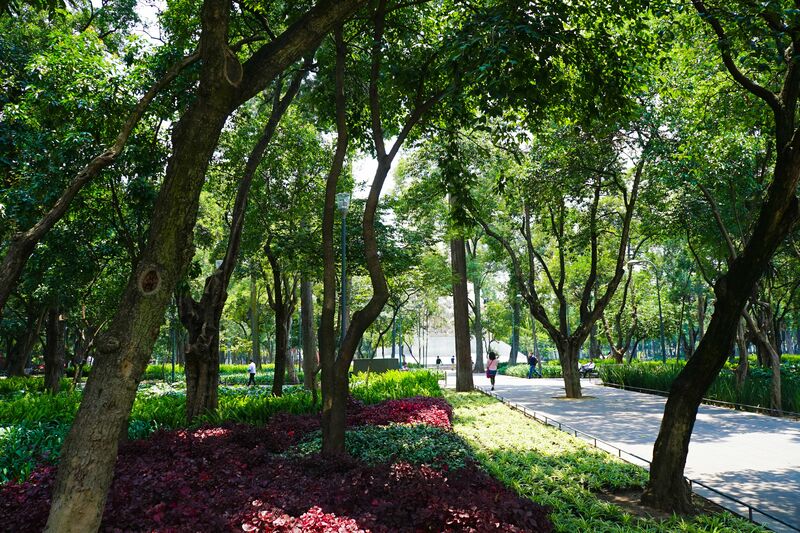 From this area, you can easily access Chapultepec, the city’s largest urban forest, and some of the most renowned museums and monuments in the city, such as the National Anthropology Museum and the Angel of Independence. Zona Rosa, one of the city’s hubs for international tourism and the LGBTQ community, is just around the corner. These neighborhoods are a great option if you want to take it easy and walk around to take in the sights. San Ángel — This neighborhood has a similar atmosphere to Coyoacán’s but it’s less crowded, which makes it much more enjoyable on the weekend. Local artists gather in the main square of San Ángel to sell their stuff and the Bazar del Sábado (Saturday market) sells all kinds of Mexican arts and crafts. The neighborhood has plenty of fancy restaurants, but there are also very good traditional eateries inside the San Ángel Market. Museo del Carmen, just a few steps away from the main square, is a museum of religious art set within a must-see 17th-century convent. Tepito — There’s no better way to experience Mexico City’s street market scene than to check out Tepito. Popularly known as Barrio Bravo (ferocious neighborhood), Tepito has always maintained a strong identity — it’s the birthplace of the Santa Muerte, or Our Lady of Holy Death — and supported social change through popular art and cultural programs. The barrio is also famous as the home of well-known Mexican boxers like Raúl “El Ratón” Macías. It’s not recommended to wander around here by yourself, but there are plenty of group tours that can show you around this great neighborhood safely. Xochimilco — This neighborhood is what Mexico City must have looked like centuries ago when it was still Tenochtitlán, the capital of the Aztec empire and a city of waterways. 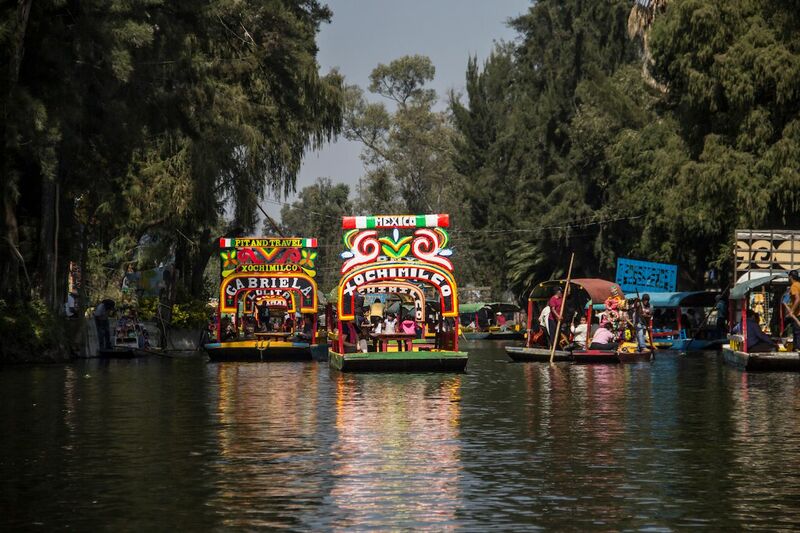 Xochimilco can be toured by traditional, colorful boats called trajineras. Among the canals, you’ll be able to see chinampas, artificial pieces of land dedicated to agriculture that have been in use since the times of the Aztecs, as well as Isla de las Muñecas (Island of the Dolls), a landmark in CDMX. Xochimilco produces a lot of fruits and vegetables, but it’s also famous for its flowers and pulque — a traditional fermented beverage made from agave plants. There are plenty of piers where you can rent a trajinera to wander around the canals (oarsman included), but the biggest and more traditional one is Nuevo Nativitas.